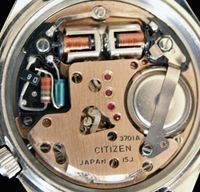 This entry was posted in Vintage Watches and tagged Citizen 8100 Instructions, Citizen 8110 Instructions, Citizen Vintage Chronographs, Citizen Vintage Chronographs Instructions. Bookmark the permalink. Nice posting, Stephen! A wealthy reference for the Citizen fans! Hi, thanks for visiting my blog and for your kind comments, they are much appreciated 🙂 Since htis is a public blog I have deleted your email address since I get to see it privately when I approve your comment. Hi Stephen, thanks for your answer and for deleting my email adress. And thanks again for the pictures. I’m not a watchmaker either, but I’m trying yo learn while I enjoy it así a hobby. Apart from the complete Bullhead I have a Citizen Chrono case with no movement ir dial. I’ll first try on that one! Thankyou! 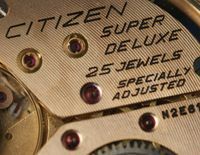 Thanks for al your interesting posts andprofond articles about the Cititzen watches: super! 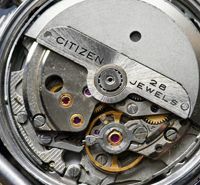 As I am not so familiar with Citizen watches I would like to ask a question. 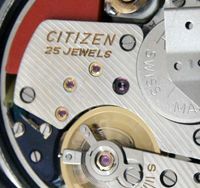 I became enthousiastic about the chrono’s and a while back I bought a Citizen Recordmaster (with numbers 4-570014 Y, 20400352, 63-0110 on the case back) It has a broken crystal, but I managed to find a new one. As I put on the lunette I can still move the crystal, it definitely needs a gasket? I didn’t find out what gasket to use as the old crystal was glued onto the case!. 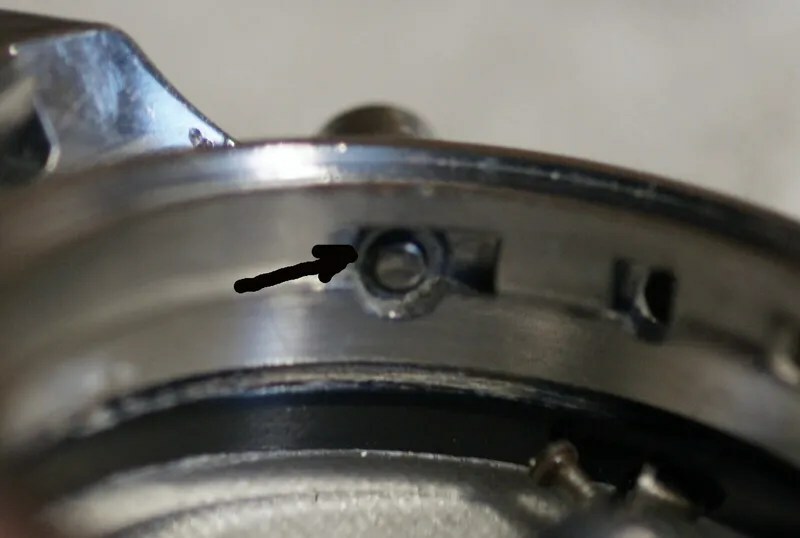 Do you know where I can find these gasket (s) or find information about the gaskets (anything will help!). Hi Arnout, thanks for visiting my blog and for your kind comments. Apologies for my late reply, been a busy weekend! I’m afraid original parts for the Record Master models are very difficult to find. It may be that you’ll have to see if a watch maker can fit a modern gasket for now. 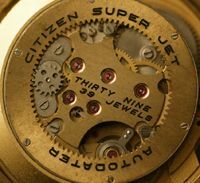 Citizen’s part numbers are 54-0325 for the glass, and 392-0031 for the gasket. The best place to search is probably Yahoo Japan, but a great deal of patience may be needed!